Do these look familiar? 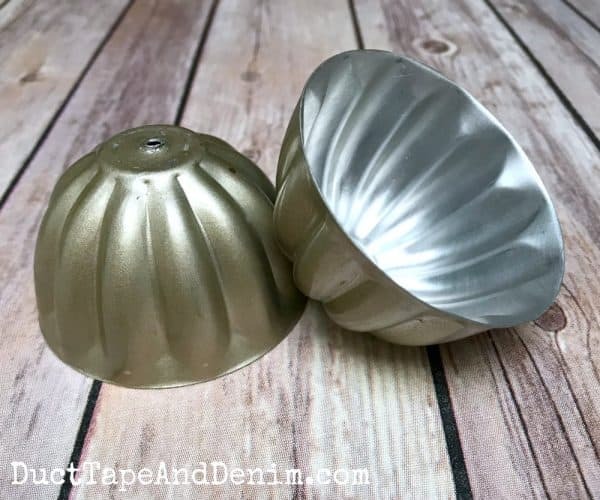 I had a few vintage Jello molds left over after making my junk pumpkins. I’ve been holding on to them for a year, trying to decide what to do with them. I finally decided to turn one into a glitter Christmas ornament. 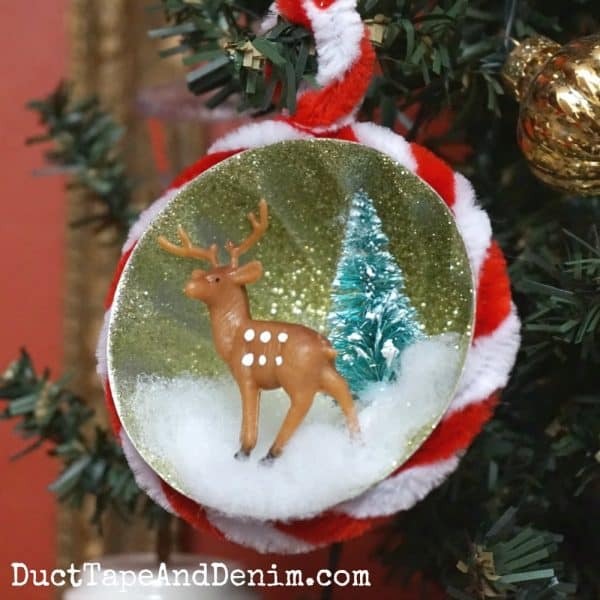 This is how I make beautiful, vintage style Christmas ornament in just a few minutes. 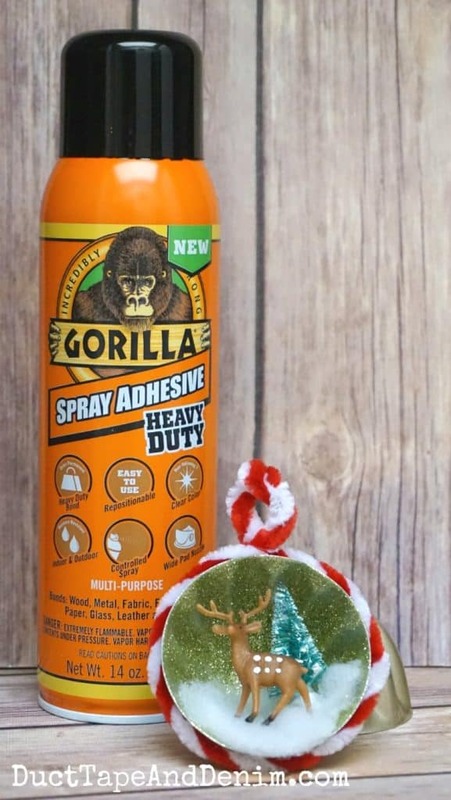 Gorilla Spray Adhesive is my secret for getting these made in just a few minutes. It makes applying the glitter super quick and easy. 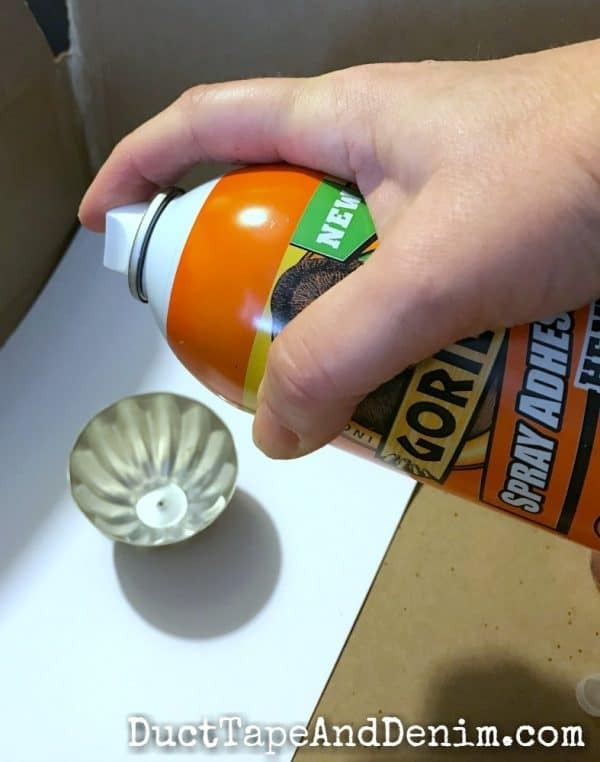 I placed the vintage mold into a cardboard box to protect my table from overspray then gave the inside a good coat of Gorilla Spray Adhesive. 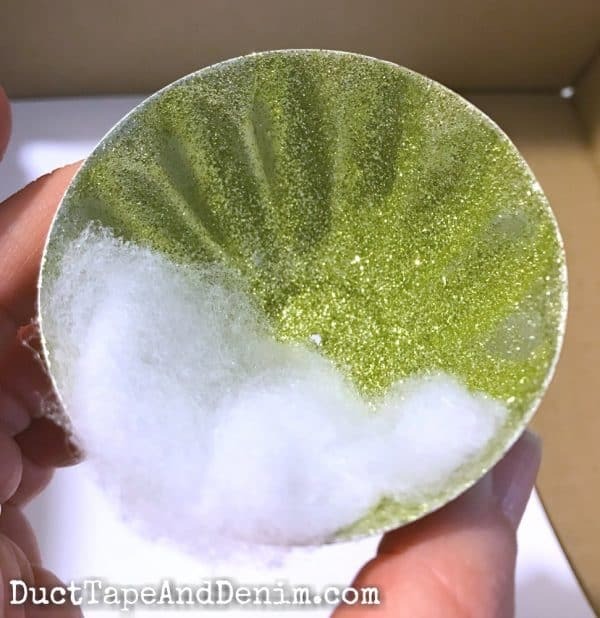 I immediately sprinkled this beautiful fine green glitter all over, rolled the mold around so the glitter got on every section, and dumped out the excess. This reminded me of making bundt cakes with my mom when I was little. She let me butter and flour the pans before she poured the batter in. I pulled off a piece of quilt batting, sprayed a bit of the adhesive on the bottom, and stuck it in. Then I arranged my miniatures and glued them in with the clear glue. I wrapped my chenille stem around the outer edge of the tin mold and twisted the ends to make a hanger. I glued it in place with the clear glue also. I also used this for glittering INSIDE one of those clear glass ornaments. 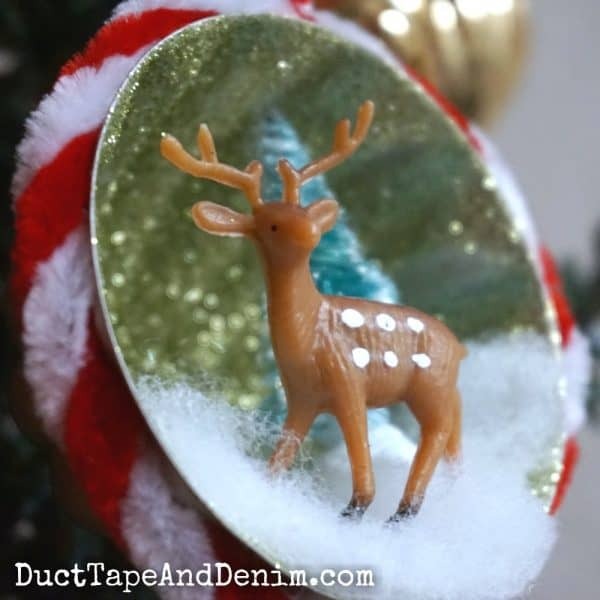 And for an upcycled orange juice lid ornament. You’ll see those later… Please leave a comment and let me know what ornaments you’ve made this year. Merry Christmas! Great idea – I love using miniatures – makes the world a (little) nicer! What a Beautiful ornament. Thank-You so much for sharing such a great idea! I personally have been quite busy making Glittered Christmas Tags. Such a sweet little ornament. I can’t wait to find some little figurines and try this! Love the vintage feel. I definately am going to have to get some of this spray adhesive. Thanks for sharing. I will have to look for jello molds. This is a must make for me. Those are so cute Ann! I couldn’t imagine how you were going to approach the jello molds for Christmas ornaments! Now I see how easy it is to do. So pretty !!!! Thanks for sharing …. What a great way to use my little pudding moulds. Cute project! Great, generous giveaway! I’ll definitely be on the lookout for some of those jello molds. love the vintage look..so cute..